Yeshivos Lita is a must-read for all you history buffs out there, and if Zaftige Scheyreh is your forte', then even more so. 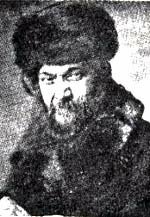 In describing the poet CN Bialik, the author of these memoirs, Abba Balosher, a Litvak formerly a student of Volozhin and Slabodke, but basically an Apikeyres, cannot resist the old-time urge to belittle Chassidim. He explains how CNB ever got to Volzhin in the first place if General Studies was his true goal and he never was really interested in learning Teyreh, unlike some of the others. 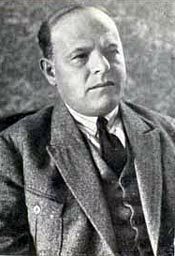 "The Zhitomerer (CNB) wanted to go to Berlin to study Philosophy, but could not. What did he do instead? he traveled to Volozhin. Why Volozhin? because he heard that in Volozhin they also learn שבע חכמות ושבעים לשון! But when he got there he saw that they learn Gemoroh, Gemoroh, and more Gemoroh. Why would he believe something like that in the first place? Balosher explains: Certainly this Vohlyner Bocher had "Temimus Yeseiroh", which came from him being raised on Sipurei Meyfsim about Tzaddikim and "Gute Yidden." 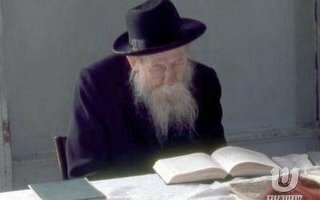 He heard that in Lita they do not believe in "fairytales" so he believed that they do study Seven Chochmos and Shivim Loshon. What is it they say about taking the boy out of the country but not the country out of the boy? I was recently presented with a the recently-published book on Reb Itche der Masmid, hy"d, called יראת ה' אוצרו. My B'cheyr saved up all his money and bought it for my birthday. (Cute, no?) 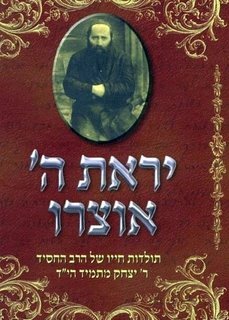 The author says it well when he writes B'shem a Chossid that just like Reb Elozor ben Charsom was M'Chayev Ashirim and Hillel was M'Chayev Aniyim, then Reb Itche was M'Chayev Chassidim of our generation. On Leil Shminii Atzeres 5699, Reb Itche ate the Seudah at the FR's tish. Reb Itche said then that the main revelation of the Baal Shem Tov was for Reysin and Lita. For Peylin, he said, " האט דער בעש"ט נ"ע ממשיך געווען אמונה פשוטה, אבער דייטשלאנד איז לאחר הבירור, ביי די אשכנזישער אידן האט מען צוגענומען די כח המסירות נפש וועלכע איז דא ביי יעדן אידן". we say that the MM sent Talmidim we mean that he gave them Yichudim to do where they travel. Therefore, the fact that they were there does not mean that they had the Yichudim from the Maggid. As a Jew of Hungarian descent, the Ashkenazic part of Hungary that is, do I need to worry about this? 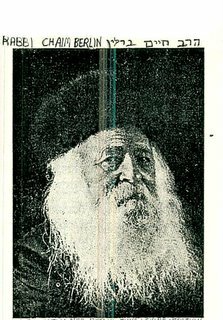 The Frierdiger Rebbe in Sichos of 5702 tells of 5 times that his father the Rebbe Rashab asked "פארוואס"? One of those times was at a Farbrengen on Yud Tes Kislev 5653 where a Chossid said Lechayim and added that "The Zchus of the Baal Hasimchah zol af unz maygen zein. The Rebbe Rashab turned to him and asked Farvos?! The same thing happened on Purim 5670 in Menton, when the Chosid Reb Yaakov Horvitz of Riga mentioned the AR and said "Z'chusey Yogein Oleynu," the Rebbe asked Farvos?! 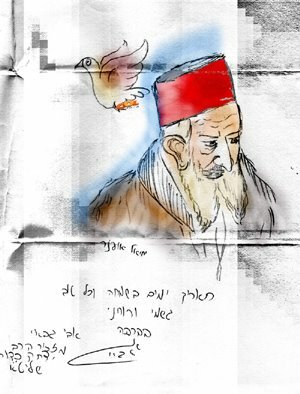 The RR saw this Ma'amar HoEylom as he saw many other things differently than the rest of the Chasdishe world , namely that you don't just get something for nothing, and even when offered טאר מען ניט נעמען. 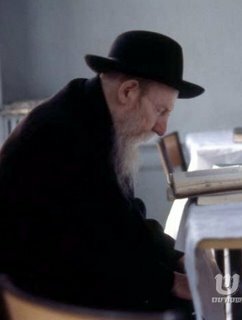 The Rebbe does not need to be "Maygen" on you just because you asked for it, you need to work at it, and be deserving of it. A similar lesson is learned from a Chossid who took some Shrayim from the RR's plate. The Rebbe said " מיין שריים איז מחייב, נישט מזכה " you don't just get Hashpo'es because you grabbed some food off my plate. I questioned a respected Mashpia how this "jives" with the conventional wisdom that Chabad today gets a "free ride" just because מ' האלט זיך ביי די קליאמקע and other catch phrases, as if the Rebbe will vouch for all us as being good guys. He said that messages like that are "misconstrued", as are other such "catch phrases", by those who wish to have a free ride and take it easy in life. For them just calling yourself a "Chabadnik", and davening Nusach Ari - AR is enough for them to get a free pass. This is part of the "Peylishification" of Chabad, and in many cases, they "outPeylish' the Peylisher themselves. In the words of one of the Rabbeyim, " מען טאר נישט זיין קיין בעטלער " , or "NO BEGGARS ALLOWED"! You need to work hard, HUREVE, and then you'll get something for your efforts. I don't particularly care for the opinions of journalists, especially from a Socialist paper like the Forward, but sometimes you take what you can, and these guys CAN be objective. The reviewer is reviewing Steinsaltz's new books and and in between tries to analyze the success of Chabad today amongst non-religious Jews. He does get a little testy when speaking of the uniqueness of the Yid, with the nefesh elokis being exclusive to Jews and such, something that doesn't work well with today's "we're all G-d's children" philosophy. He claims that Steinzaltz beats around the bush when it comes to these and similar issues in his new books, and attributes the AR's opinions to "persecution". Read the article in its entirety if you can, then we'll talk about it, iy"h.
Here's a snippet from yesterday's Hebrew HaModia in honor of 24 Teves. "It became known that the holy Maggid of Mezritch once looked at the face of the Holy Rav the Baal HaTanya and said: What a great wonder it is that G-d, so lofty and awesome, has decided to reside in so miniscule a body! Do the good people of HaModia know what they put in here? 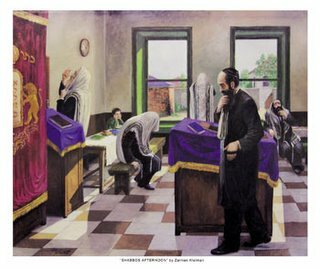 Did the Alter Rebbe doubt us all? 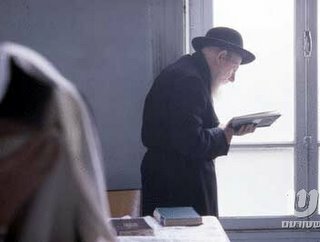 The Alter Rebbe, whose Yohrtzeit is on Tuesday C"D Teves, expected us to awaken our hearts to the service of Hashem through Meychen, learning about Gadlus HaBeyre, which in turn leads to Ahavah and Yireh. I believe the idea was and is that Avodas Hashem without learning the Inyonim, although it may seem like the heart burns with love for the Eybershter is not a true Aveydeh. My question is as follows: Did the AR opine that only a pure Aveydeh is to be strived for, and that although the Chagas'nik may do the Mitzvah with seemingly more Kavoneh and daven with more varemkeyt, that the davenen and mitzvah is "worthless", maybe not in the Schar/Onesh realm, but worthless neverthless? Most people will tell you that waiting for such opportunity is being unrealistic, but yet they'll daven a 45 minute Yom Kippur Shmone Esrey full of silly if not stupid Machshoves. They'll try hard to awaken some kind of excitement within themselves whether by intense swaying or loud clapping and chanting, which usually does nothing more than anger your neighbors and gets you to think that you're somebody important. The Kotzker said it best, although they went to the other extreme of being "realistic". He once visited an old Chossid who was on his deathbed and asked him "נו, יענקל, ביסט שוין פטור געווארען פון די יצר הרע"? Yankel answered "No, Rebbe, he's telling me now פארמאך דיר די אייגען און זאג הויך שמע ישרא-ל, זאל דער עולם מיינען אז דא איז געשטארבען א צדיק" . Never be sure of yourself. 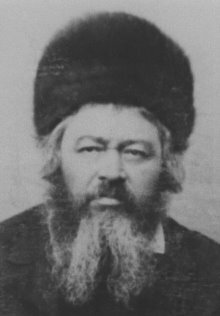 It turns out that Zushe Vilimovsky, aka Zushe Partisan, the Rebbe's man in Israel, was originally from a non-Chassidic home. 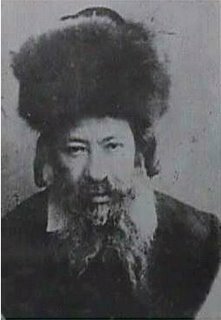 His father, Reb Yosef Yitzchok, hy"d, was a "Eylimishe" Rov in Russia, who happened to have a Kesher with the Rebbe Rashab N"E. When WWII broke out Zushe escaped over the border into free Lithuania and joined the Baranovitcher Yeshiva under the auspices of HaGaon Reb Elchonon Wasserman, hy"d in Trok, near Vilna. Once there he alerted the entire town about the impending massacre that was to happen at the hands of the Nazis one morning, after getting the information from the Balleboste of his "apartment". Only after telling the whole town did he himself leave, thus saving hundreds of Jews. Later he was herded into the Ghetto Lida, with 15,000 other Jews, and from there he escaped to the forest, joining the local partisan brigades. There, under the most difficult circumstances, he too had Mesiras Nefesh for Shabbos, Kashrus, and Matzos on Pesach, as well as being careful of Chometz. 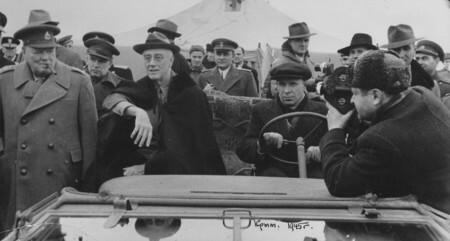 Is it any wonder that after the war he was Niskarev to the light of Lubavitch? There's a story told about a village in which a fire broke out. A Malach was sent down from high to observe the townspeople's response. This angel sees a woman standing at the riverside filling two pails with water, dragging them back to the village and dumping it on the fire. Back and forth she would go with her measly loads of water, doing her part but not doing much overall to put out the fire. The Malach approached this woman and ask her: Mameshe, vos toot ihr doh? Do you think your little water can actually put out the raging fire, and if so why bother? The woman gave him a glaring look and said: If you'd like help me grab a bucket and fill it up, otherwise GET OUTTA MY WAY! 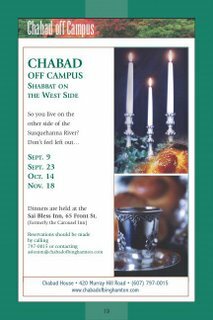 The same can be said for those that ask the all important question: Of what good is all that "outreach" work that Chabad does if the intermarriage rate in America is as bad as it was before they started and even worse?. In the Former Soviet Union, the statistics are even worse, with some cities having an intermarriage rate of 90 percent! so why all this outreach work, let them stay at home and concentrate on learning and davening and forget about everything else! 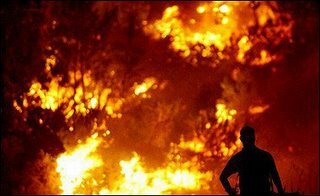 איי עס ברענט א פייער but of what consequence is throwing a drop of water on a raging inferno ? For the most part those that criticize are those who don't wish to contribute, either for ideological reasons, that they do not see the importance of the work, or they believe that they do not have the capacity to counter the fire burning. So, if you believe that the whole "village" can burn down and not think twice about it, then be my guest, stay at home and do your thing. However, if the entire Jewish people are of some importance to you, and you'd like to put out the fire but you don't think that you have the capacity, then the least you can do is stay out of the way of those that are doing something about it. a little too stereotypical for me, with everybody being Jewish in the ski resort. Either that or we're to be excited that all the non-Jews started to light Menayres too. Also, for only $540.00 you can have somebody say Kaddish for your dearly departed. A little steep, no? Avrohom Shaye Shapira was known as Shaye Korolevitcher in Lubavitch. 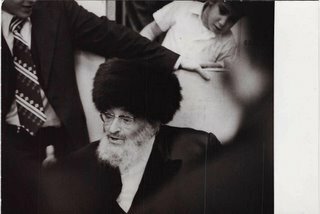 An emeser Chasidishe Yungerman, his Hiskashrus to the Rebbe Rashab N"E knew no bounds. His daughter Mrs. Rivka Raskin of London tells her life's story in "סוערות בדממה", a recently-published book by Menachem Zigelboym, a unique book in that it tells the story of the women who were either left behind when their husbands or fathers were taken away or were imprisoned themselves. Her story is one "for the books", a tear-jerker no matter how many times you read it, and one that not many of us would be able to tell. She tells of her father who was a Talmid of Teymchei Tmimim in Lubavitch and who risked his life so that he and his family should lead a Jewish life in Soviet Russia. He wouldn't send his children to Government Schools for fear of them being indoctrinated, and despite the fact that had he been caught his children would be taken from him, and he and his wife arrested or worse. He had Mesiras Nefesh for things like CHOLOV YISROEL, that's right CHOLOV YISROEL,and if no CY was available האט מען נישט געטרונקען! 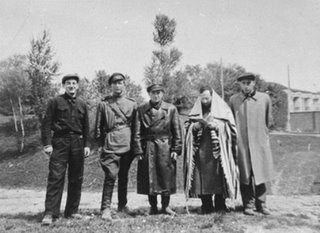 His Mesiras Nefesh for Kashrus during the siege of Leningrad in 1941-1942 is what led to the demise of him, his wife, and three of his four children. Oh, and please don't tell that al pi din he had no right to have mesiras nefesh for kashrus. I will iy"h speak more of this remarkable Yungerman, but for now I'd like to stress a certain point. This story brings to mind an occurence that I was witness to over 2 summers, 5 and 6 years ago. 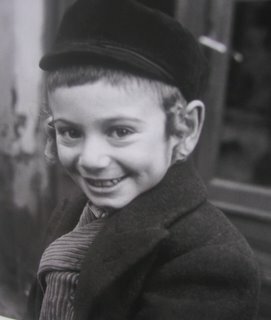 There was a Yungerman in the bungalow colony where my wife worked, who was one of the Melamdim for the older children in the daycamp, what you might call a professional Rebbe, good with children, and a good teacher, a typical ישיבהמאן who spent his free time doing good things. What shocked me was that Cholov Yisroel products NEVER crossed the threshhold of his bungalow, and I imagine his house neither, and were never served on his table. Everything from Milk, to muffins, to crackers, to cookies, to cereal, were all CHOLOV AKUM. 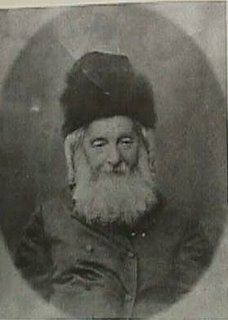 We all know about the Tshuvah in Igros Moshe where he's supposedly "matir" cholov akum, and maybe if he lived in Indiana or Arkansas I'd be OK with it, even if he spent all of his summer in the Catskill mountains where Cholov Yisroel is readily available. But a MELAMED, a ben Teyreh? is saving a few cents so important? and we're not even speaking about a Kolel Yungerman here, but rather a man, a Kley Keydesh, with a good-paying job and without 12 kids either! That, in a nutshell is what separates a Chasidishe Yungerman from a nisht-Chasidishe, and it's not meant to belittle this melamed. This Yeshivaman's accomplishments and devotion to Teyre will be duelly recorded, but נישט דאס מיינט מען! Orthodox say: "why not us?" to Jewish outreach. 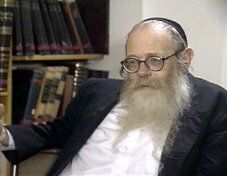 They say B'shem Rabbi Hodakov, that חב"ד האט נישט קיין פאטענט אף הפצת היהדות , and we encourage everybody to come and do the same. It's just nice to get some recognition some time, that's all. A heart-warming story פון אן אמאליגע צדיק . From Heichal HaNegina. I liked the part where he says "He loved the Rebbe and he knew the Rebbe loved him. 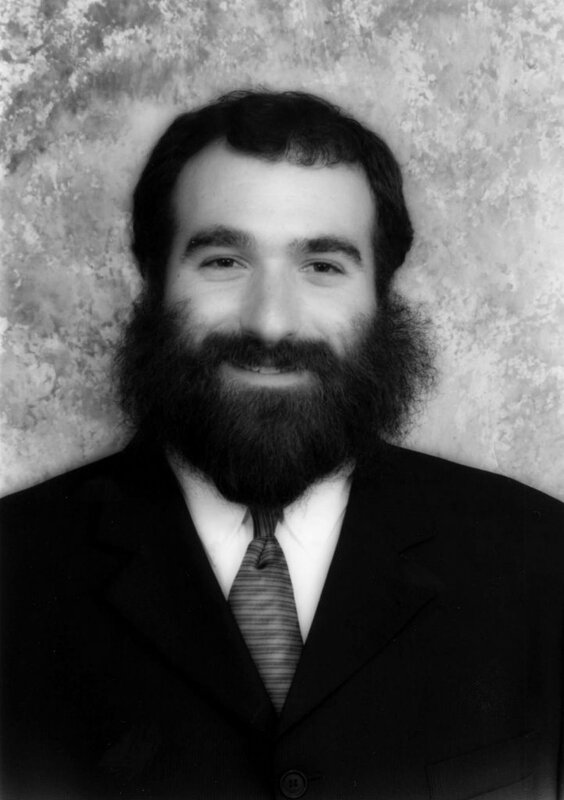 In fact David was pretty sure the Rebbe loved everyone." a virtual treasure of Shiurim on "Yeshivishe Mesechtos and Mussar Shmuessen online from Reb Nochum Percovitz and his father-in-law Reb Chaim Shmuelevitz. 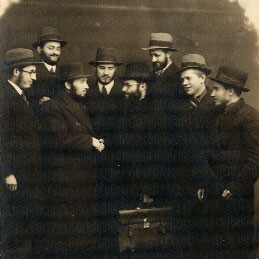 It used to be that Chabad had a friend in the Modern Orthodox, with both groups shunned by the Yeshiva world. 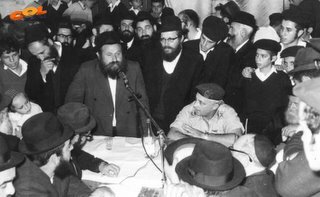 Chabad was also supportive of the Jewish State, although not in the "religious sense" of the MO community, but who was splitting hairs? The Rebbe was the only "black-hat" Rabbinic personality that supported Rabbi Soloveitchik of Boston, and so on. Now, that too seems to be over with. No more can Chabad count on the support of the Modern Orthodox community. We'll try and get to the bottom of this change of events. Let's start with this genius, Out of step Jew, who thinks that Marvin Schick hasn't gone far enough. Not only is Chabad insincere and only in it for the money and PR, they're corporate monsters too. They lure strangers to their "brand", always seeking out the lonely, anti-social types, blah, blah, blah. It's bad enough when it comes from another "kiruv" group, or from some disgruntled ex-Chabadnik, but do we have to take this nonsense from this guy too? There are those that hate Chabad sooo so much that they cannot say a good word about them. If they need to travel overseas and need to come on to the service of a Shliach, they'll find some problem like he didn't eat Shalsoh Seudos, or that he had a mixed Kiddush, or his wife wasn't wearing a hostess-robe to the Friday night meal. But I always thaught that came only from the haters and not from the bystanders who were force-fed the hate, but I was naive. If you don't like a certain Rabbi because you feel that he came to your town and lured some people away SAY SO! chances are however, that the Rabbi never gave those people the time of day for some reason like their daughter married a goy. Don't downplay the Mesiras Nefesh, Harbotzas Torah and Yahadus as well as Gemilas Chesed that's performed daily. How about the organizations like Aish and Or Somayach that pull into town with a well-paid Rabbi and an unlimited source of funds who first lets it be known that he's the AUTHENTIC Jew in town, after the Shliach had to raise his own bread money for 20 years. He then proceeds to destroy everything the poor fellow worked for. Why is there no outcry over that?! It would not be fair to paint all of MO with the proverbial "broad brush", but the phenomenon definitely seems to be growing. I guess they're becoming more "black-hat" after all.... My only question is when did they suddenly start caring about Torah, Yiddishkeit, and Ahavas Yisroel? UPDATE 1/22/06. 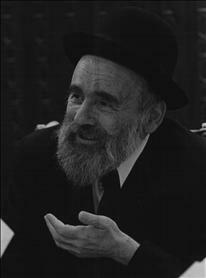 Rabbi YD Soloveitchik at the Farbrengen of Yud Shvat 5740. All the Litvishe Rabbonim learned in Volozhin, so what does that say about the hat? Here's part II of what he thinks. Now before you think I'm being all defensive here, just remember that were his intentions pure as the wind-driven snow he'd write to the "Lubavitch World Headquarters' and not to the Jerusalem Post and Jewish Week. Also, saying that the cause is worthless because of the intermarriage rate that we have in America is just plain stupid. Here's what Rabbi Dovid Eliezrie of California had to say about Part I. Admittedly, he does not address the entire article, but rather chooses to take the high road here, speaking about the philosophy that drives Shluchim today. Reb Yisroel of Stolin, the "Yenuke". It seems like the great lie is spreading, and fast. For some reason people think that it was the Misnagdishe Yidden that kept Torah alive in the Russian Empire. They also think that Chabad was one big happy "Frei-out Party". Why anyone would think that is beyond me. Off the top of my head let me see if I can make a rough accounting of the situation before WWII. 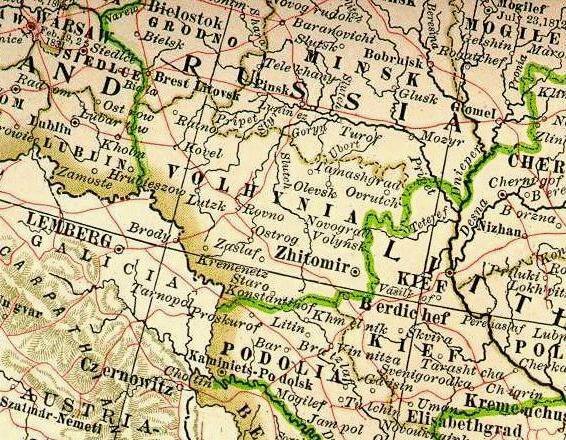 Karlin existed for the most part in Vohlin and Podolia. The numbers are unclear to me off hand, but from the Zichronos books that I've seen it seems that there were lots of old chassidim, but not many young ones to show for. 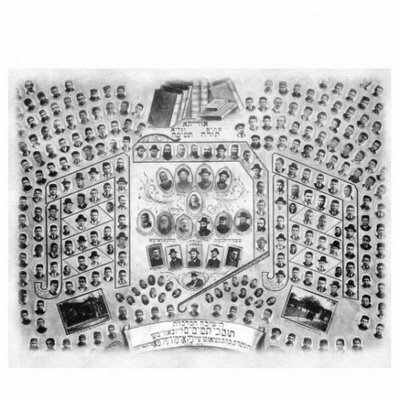 Slonim had a few hundred families, they had bochurim learning in Baranovitch by Reb Elchonon, hy"d, but how many? and that was in Poland, not Russia. 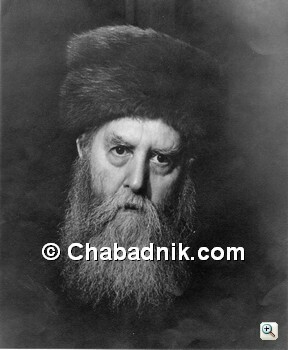 Anybody know any old-time Boyaners or Sadigerer Chassidim from Russia that didn't emigrate to America or Israel? Does Skver have ONE chossid from RYY's father? ONE?! 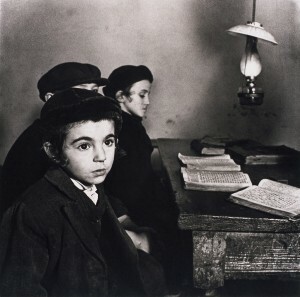 In Lubavitch after WWII there were HUNDREDS of families, YEREIM U'SHLAYMIM, that left the SOVIET UNION, not Rumania or Poland, or Lithuania, but the SOVIET UNION, where hundreds went missing and were killed for Harbotzas HaYahadus and Teyreh. Hitler had his way with Chabad too, Maybe not as much as in Poland, but as much, if not more, than in Hungary-Rumania. I would dare say that most of Chabad didn't survive, but LUBAVITCH did. Look what some nice fellow did for me! In Monsey, probably around 5742-4. 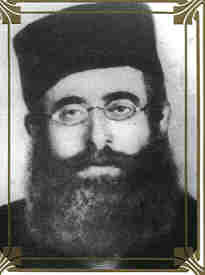 Reb Yaakov and Reb Mendel were cousins, RYK's mother or grandmother was a Futerfas. 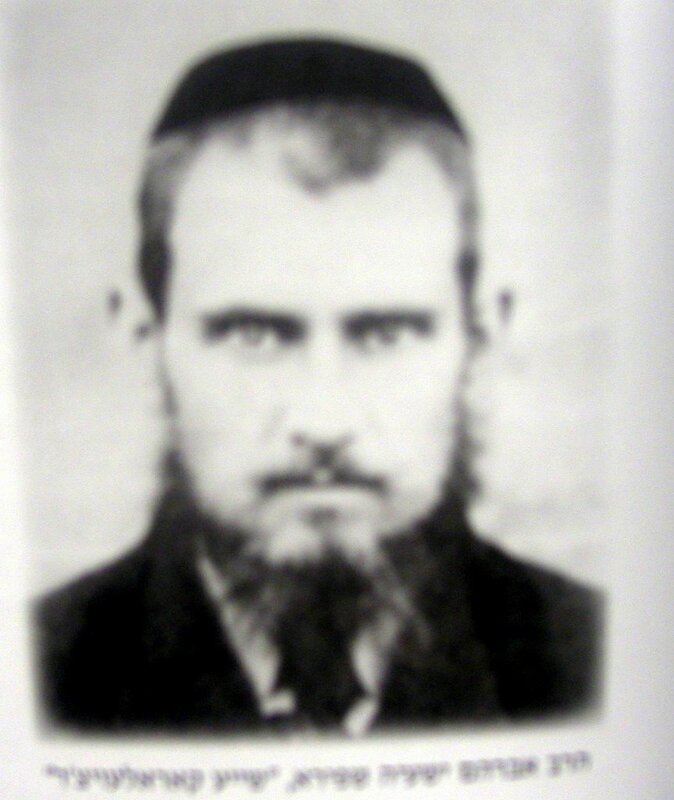 Avremel Shemtov's mother was also a Futerfas, RMF's sister. Shimon Says: - J' Accuse! Shimon Goldman was a 14 year old kid from Shedlitz, Poland who escaped with Tomchei Tmimim Bochurim to Vilna and then through Russia to Japan and Shanghai, China. In his memoirs entitled “From Shedlitz to Safety” recently published in English he recounts those days. "In the US a select group of Torah giants came together and formed the "Vaad Hatzalah". Their primary function was easing the plight of the many displaced Yeshivos struggling for survival in Shanghai and other places. Officially money was alloted acording to the number of students in every Yeshivah. The money was chaneled through Switzerland. 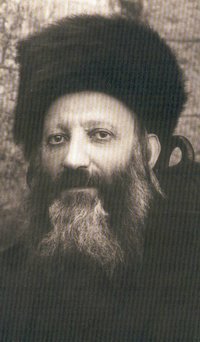 Reb Yisroel Zuber, a Chabad Chossid and a graduate of Tomchei Tmimim, lived in Switzerland at that time, and he worked very hard to ensure that all the money would indeed reach Shanghai. Tmimim had to fend for themselves. The monies were addressed to RMA. He and RCS distributed the money but we received NOTHING. Some postulated that it was due to a dispute over a second fund that the FR established for victims of Communist and Nazi persecution, a fund of which the accounting was kept secret. Certain Gedaylim believed that the FR was hampering their fund-raising efforts because people believed that he was also sending money to Shanghai, which was not the case. They resented this secrecy and retaliated by excluding Chabad from the VH fund. In a setting today where most of the interacting between kids is done in English, the consequences are many, what I'll speak about is what happens next, and what's most disheartening to me. Maybe it's from watching and listening to too much Uncle Moishy, and maybe it's natural for English-speaking kids these days, but it's too much to handle. I'm speaking of a total "Anglicization" of everything and anything Hebrew. The Tzeyrey has become a Segol, the Cholom a Kometz, and let's not talk about the Reish and what that sounds like now. Let me give "ah ferinstance". 1) Shma Yisroel, instead of Yisroeyl. 2) Beyodcho.... Hashem Kel Emes, instead of Keyl. The list goes on, and it drives me crazy! Why must Chasidishe boys sound like Bais Yaakov girls?! I don't want to pressure kids to sound and speak a certain way because I'm afraid they'll grow to up resent the Yiddish language, and everything it stands for. So my question is as follows; How do we go about rectifying the situation without the afore-mentioned problems arising? Any intelligent input would be appreciated. Here's what he wrote in 2004. This is not meant to "knock" the illustrious Twerski family of Milwaukeee. They have accomplished much for Yiddishkeit, including a fine community in Milwaukee, much fine Jewish literature, and have been a light unto the nations. There's also the lineage that can be traced to the Alter and Mitteler Rebbes, something close to my heart. 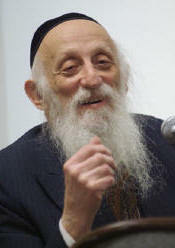 Rather, it's an observation I've made regarding the good Rabbi Dr. Abraham Twerski of Pittsburgh, Pa. He seems to be intent on calling out and publicizing the ineffecacies and shortcomings of Jews, especially Religious and "Charedim". Whether it be Alcoholoism, Drugs, Domestic Abuse, and Compulsive Gambling, he's there to say "us too", and we're no better than some other groups. Here's Exhibit A, a Speech on "The truth about Gambling in the Jewish Community", held at a Shul in New Jersey. Listen if you have the time, and tell me if you don't think he's exxagerating the problem. That's not to say that the problems don't exist and that they don't need to be dealt with, but does the alarm need to be sounded like he does? I have a sneaking suspicion that it's got something to do with him feeling somewhat out of the mainstream, with his family growing up in America and the subsequent college education of all of father's children, something unheard of even amongst the college-educated Chassidim themselves. I may, however, be totally wrong. His brother Aron Twerski, although he's risen to beome the dean of Hofstra Law School, maybe by living in Boro Park, has become SO mainstream that he's a lecturer at Agudah conventions, and it don't get more "Mainstream" than that. I never really was a fan of the Algemeiner Journal growing up. I thought that as part of my "responsibility" to Lubavitch I had to buy the paper, just like the Kfar Chabad. What I never did understand was why it was so important to have pictures of heavily-bejeweled overaged women sipping champagne with Rabbi Arthur Schneier at a dinner for "Ketzelle" and Yeshivat Beit E-l, or why it was so important to have Sam Domb mentioned there every single week. I believe others had the same questions, and it showed in the ever-decreasing number of subscribers. Gershon Jacobson himself, for some reason, didn't notice that fact, he would say "אין מעקסיקע אליין האב איך צען טויזנט שובשקרייבערס" . Anyway, times have changed since then, and never more so since the passing of its beloved "REDAKTER" and founder Reb Gershon Ber. New blood has taken over the reins, and with that comes new ideas. There now is much to read, and not just the same old news that we read elsewhere translated to Yiddish. On the advice of our commentor "C" I have taken a new interest in the paper and in the online edition, and boy, was I surprised. Now chock full of sheine vertelach, Zichraynes, opinions, as well as news, the paper can now keep you occupied for the full 45 minute train ride home! In today's day and age of "שיינע שידוך געשלאסען בבית קאסאן-טאהש" and other Yiddish "stories" of non-interest that the other Yiddish papers provide, the market of un-Satmar affiliated Yiddish readers is ripe for the taking. If they'd like they can really jump start this baby and have a 30-year head start to boot. I don't know if that's what the Jacobsons have in mind but they seem to be headed in the right direction. Let's hope they don't blow this chance. r-l front row: Nochum Shapiro, Sydney; HaRav AY Schwei; Nachman Shapiro of CH;RLYS. r-l back row: Itche Mishulovin, son-in-law; 2 of Levi Itche's grandsons. I have yet to read all of the book, but what I have read is enough for me to comment on. I had heard much about Rabbi Oshri, and know a son and son-in-law of his, but I never know the story behind the family. 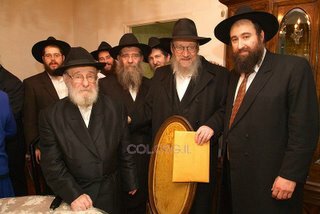 Truthfully, What I had seen and been taught about “Litvaks”, Litvishe Yidden, is a crime, but to that today’s “representatives” of Litvaks carry much of the blame, just as some Lubavitchers do a terrible job representing the Rebbe and Chassidus Chabad לדאבוננו הרב. We have been misled about these fine Yidden, and by “we” I mean all non-Litvisher. Another point important to make is that although books like “Making of a Godol” weren’t meant to tell the heroic story of Jews during the Holocaust, they still have much to learn. They manage to go out of their way to criticize, belittle, and even embarrass friends of their family, Yeshiva Chaverim, and colleagues, all in the name of “truth”. Rabbi Oshry, even when discussing the history of certain towns, and even when mentioning totally irreligious Jews, rises above it all and does nothing of the kind. He mentions their heroics and even their Mesiras Nefesh for Yiddishkeit, which they had, and avoids the differences they had. I’m not sanctioning a total coverup of events, but there is a better way to go about it. 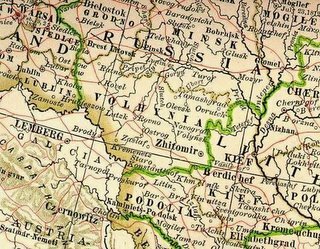 He begins by describing the initial days of the Nazi occupation of Lithuania, until then occupied by the Soviets, in June 1941, and how the Lithanian Goyim could not wait to get their hands on their Jewish neighbors. Even before the Germans had fully organized, the Litvishe Rotzchim were murdering with a brutality the Arabs in Chevron could’ve only hoped for. That year June 22, the date of the German attack codenamed operation Barabossa, coincided with 27 Sivan. The next day a pogrom of never-before-seen proportions was carried out by their Christain neighbors and “friends”. 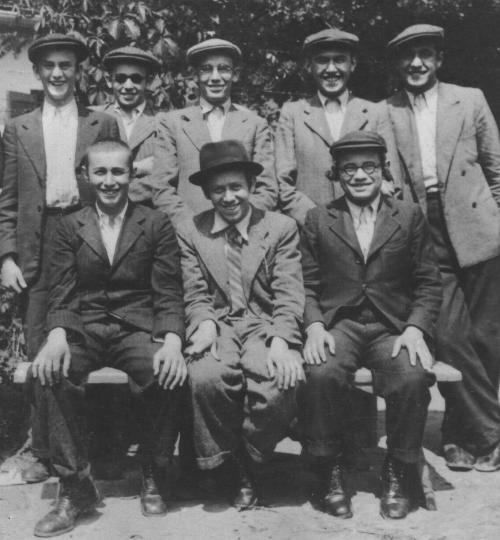 In Kovno-Slabodka hundreds and hundreds of people were dragged out of their homes, off the streets, and out of Shuls, and beaten, stabbed, and literally chopped to death in the most calculated and gruesome ways by their Lithuanian neighbors without much German help at all. I cry for these Ballebatim, Rabbonim, Baalei Melochoh, Yeshivaleit, Bocherim, mener, vayber, un kinder, who have nobody to tell their story nor to carry on their traditions in this commercialized, cookie-cutter world of ours. Excuse me if I’m a bit incoherent here, I’m still only an amateur “book critic”. Does he belong in "Paradise"? Matisyahu Miller has been getting lots of press these days, especially on Mentalblog. One comment that came from our friend Schneur hit home somewhat for me. 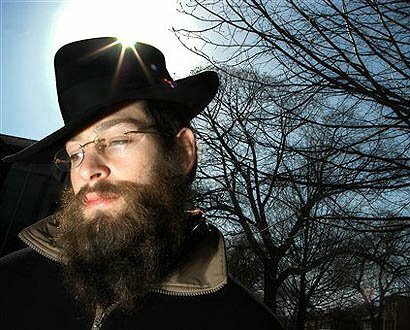 He questioned whether or not the Rebbe would've approved of what Matisyahu is doing, however good his intentions may be. He compares him to the late Shlomo Carlebach who asked the Rebbe if he can perform for mixed crowds, and the answer was NO. 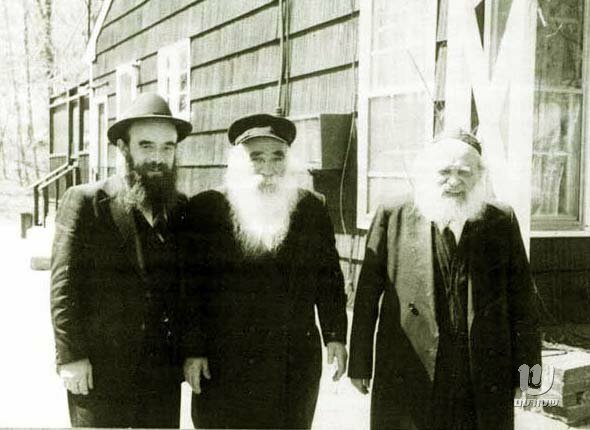 According to what Shlomo said they then parted ways, the Rebbe and Shlomo did. It seems a little too simplistic, that Shlomo only left for that reason, but that's a little beside the point. The point remains, he says, that the Rebbe was totally against the idea of a singer performing for mixed audiences. 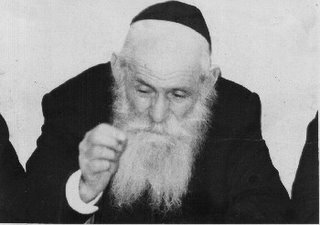 Shlomo only sang in Loshon Kodesh (he did speak and sing in English, but his compositions were for the most part in Loshon HaKodesh) and sang in a very mellow way,no jumping or hip-hopping, yet he was forever banished from Chabad. Our friend Matisyahu goes further than any frum singer has ever gone, and then some, including performing on live TV and in nightclubs. I know all about him wearing the hat and jacket at his performances, and the sometimes removal of his glasses while performing, but what does that do? 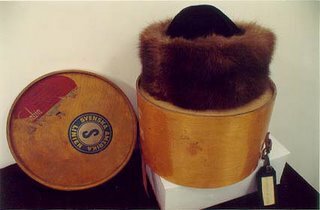 How much can a hat and jacket help for his own observance, and how does that change the content of his music? I have been told and made to understand that there is one clear-cut difference here, namely that of Marriage. Shlomo was a Bochur and remained either a bachelor or single for most of his singing career. He also encouraged sing-along, especially the women, and mingled heavily with the attendees of his concerts. MM is married and does have somewhat of a set of guidelines as far as mingling is concerned. Do the dissimilarities end there? I'm not quite sure that they don't. If it were only him performing in out of the way clubs, וואלט געווען א האלבע צרה , but now we've got so-called Shluchim going "mit di veib" to hear him perform as a night out on the town. Every Lubavitcher has a pure "heter" now to listen to the music because "er iz an unzerer" and even sings something that sounds like "Kol BaYaar" and "Tzomoh Lecho Nafshi"! hooray! Mistama iz er vayler bocher and asked his Mashpiyim in HaDar Hatorah if he can continue and make this his career. What they were thinking, if they did give him the OK, is beyond me. And you thought I couldn't be objective. "Rabbi Marulies walking home in Bucharest"
Let's play " Name that מחדש "